Access Solutions was open to a fresh, modern take to their new website, which plays in an otherwise stale industry in terms of creative concepts and web design. 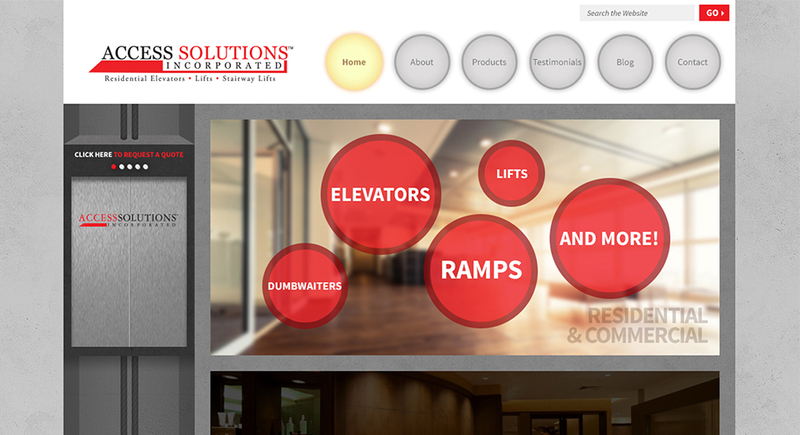 The new Access Solutions site uses some nifty code that allows the user to navigate the different floors of the page, using either the scroll bar, their mouse, or the buttons on the top of the functional elevator on the left side. When the page moves, the elevator moves with it, and once the elevator gets to the next floor, the panel lights up and the content animates over top. Absolutely flash free, this cutting-edge site is 100% responsive, working seamlessly on all smartphone and tablet devices. For a final touch, we turned the top navigation into elevator buttons. 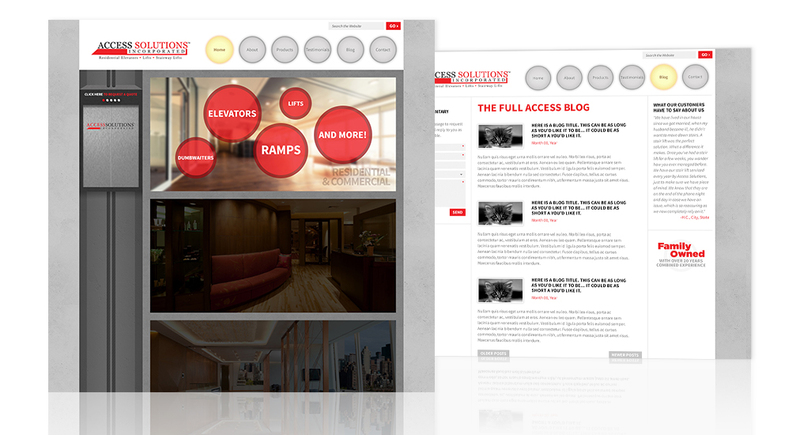 The result is the most creative, functional, and modern site in the entire industry.